Back in late 2012 Warsaw, Indiana’s Plaxton and the Void made their music debut with the great Ides. That album was filled with expansive, cavernous songs written with their Midwest roots in mind and proudly displayed. No trends or fad-filled songs; just songs written with heart-on-sleeve and ready to sing along to. 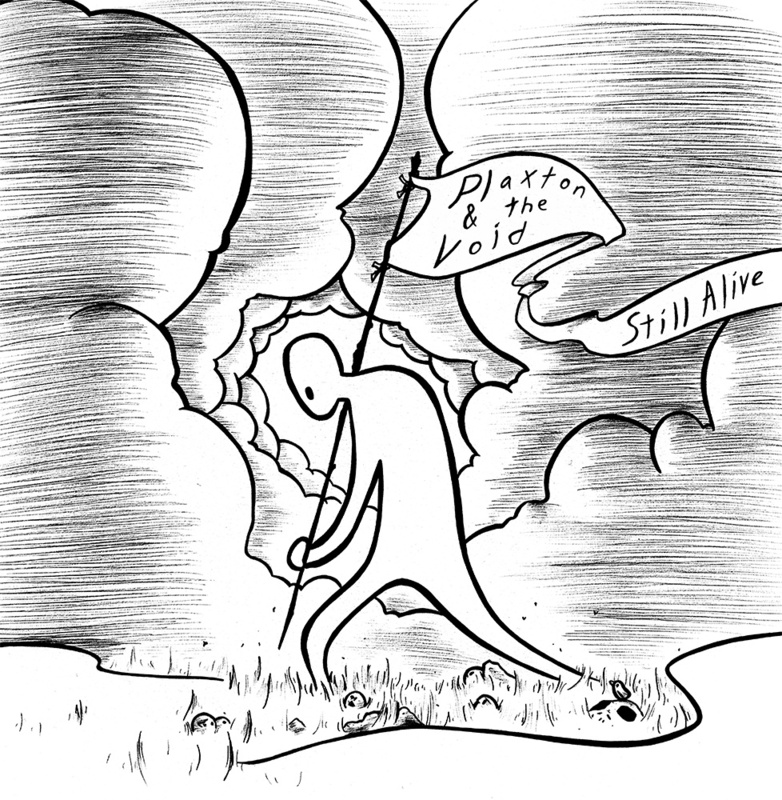 Plaxton and the Void have returned to the album fold with the six song e.p. Still Alive. They’ve stuck to the Plaxton formula they did so well two years ago, this time only tweaking a bit to create an even more focused and sublime listening experience. Singer and guitarist Joel Squires writes earnest lyrics and simple, strummed songs that allow for the rest of the band fill in the between the words with lush instrumentation. “It’s You” is the kind of song that would sound great on an open mic night with nothing more than an acoustic guitar and a vocal or with a full band blasting through a PA system. “Drive” is a song with emotional momentum and music that builds into a big chorus. “Drowning” has a country rock tinge to it in the jangly riff as Squires sings “He’s been sniffing too much coke/yet another line is on the drawer/And he’s been chasing down a high/Yet another low is just behind”, later stating “He’s been drowning way too long”, a song about hitting rock bottom and maybe or maybe not getting things right. There does seem to be a little more darkness in the lyrics this time around. Things seem more personal on Still Alive, with the song “Bitter and Frail” telling a tale of loss and loneliness. “Coraline” is lilting and gentle while “Winter Waltz” ends the album on a more raucous note with a belted out chorus and some great guitar noodling. Keyboardist John Faulkner adds some great otherworldliness with some wobbly synth at the end. Plaxton and the Void continue to put out solid tunes that are part coffeehouse strum and part arena-ready rock. Still Alive is a great chunk of dusty Midwest indie rock. Check them out and grab Still Alive at http://plaxtonandthevoid.bandcamp.com/.